FIVE years after the Syrian civil war began, the conflict’s legacy is one of the biggest humanitarian crises since the Second World War. In response, one of the largest humanitarian networks, Caritas, has reached 1.8 million Syrians in its programs in the past year alone. Caritas Australia’s head of emergencies Melville Fernandez said after five years 250,000 people had died, 12.2 million people had been forced from their homes, and more than 75 per cent of Syrians lived in poverty. 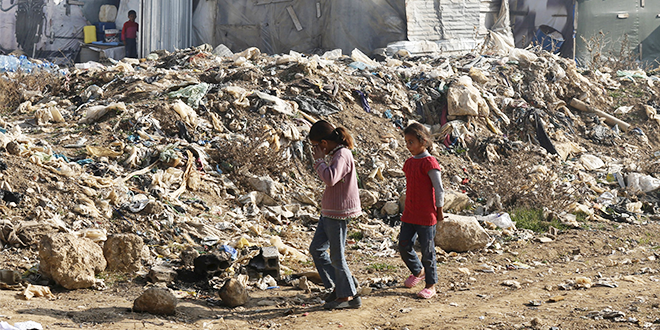 An estimated 13.5 million people are in dire need of humanitarian assistance. “As a result of the conflict, at least four million people had fled the country, many to the neighbouring countries of Lebanon, Jordan and Turkey,” Mr Fernandez said. Mr Fernandez said the living conditions of Syrians, in their own country or the places they had fled to, were deeply disturbing. “Many live in poverty,” he said. 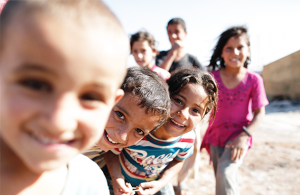 Some Caritas Australia programs focus on emergency assistance, providing Syrian refugee families with food, water, sanitation and hygiene, shelter, and items such as blankets, clothing and hygiene kits. Other Caritas-backed programs support long-term needs, by offering psycho-social and mental health support, healthcare, educational and social services, including protection to vulnerable refugees. Caritas supported programs in Syria and neighbouring countries include creating space where children can express their feelings through drawing. In Jordan, Caritas Australia’s support for Syrian refugees and vulnerable Jordanian families has included providing emergency food and essential items, as well as health programs, including mother and child healthcare, and psycho-social support to enable as many children to attend school as possible. With funding from the Australian Government, Caritas Australia will be able to support partners in Jordan in an education program for Syrian refugees. “Bolstered by support from the Australian Government, and the generosity of our supporters in Australia, Caritas is responding as best it can to assist in this enormous humanitarian crisis,” Mr Fernandez said. Donate to Caritas Australia’s Middle East Crisis Appeal online at www.caritas.org.au/syria or phone 1800 024 413.